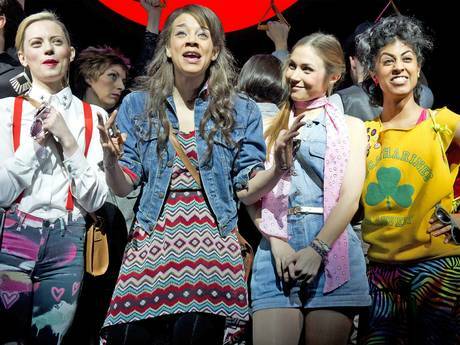 Having already been to a very disappointing preview of Viva Forever I was really hoping that by the opening last night a miracle had been performed and the show had become what it should be. All of the Spice Girls attended, did the red carpet biz and came on stage after the curtain call to make encouraging comments. But they only served as a reminder of how the group used to be with all their enthusiasm, talent and energy - three things sadly lacking in Viva Forever. 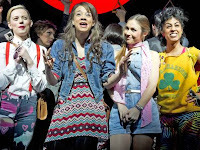 I loved the Spice Girls and in their heyday with all that "girl power" they were so great to watch, but the young cast and Jennifer Saunder's cynical book with its ironic view lacks the sense of fun needed and is very derivative of Mamma Mia! The highlight for me was the finale’s medley of Spice Girl hits when the show started to take off ... but much too late. Will we hear a different account on Boxing Day ITV1 at 14.25?